When a person eats fatty foods, those fats are ultimately absorbed by the small intestine and sent along to the liver, which breaks them down into various other fat products, but mostly cholesterol. The liver then transforms 80 percent of this cholesterol into cholic acid (bile), which is necessary to digest fats and proteins. The rest of the cholesterol is then used as building blocks for all cell membrane construction, all hormone fabrication, stem cells and the insulation of nerves cells in the brain. Pretty important stuff. In fact, huge amounts of cholesterol are required for these functions. Remember that the brain is 80 percent fats by weight, mostly cholesterol and omega-3. Then why does cholesterol have such a bad reputation? It’s because there are two types of cholesterol. The first is high density lipid (HDL) cholesterol, which is beneficial and does not harm blood vessels. In fact it protects them because it actually collects some of the negative cholesterol and carries it back to the liver for removal. The negative cholesterol is low density lipid (LDL) and it acts as a free radical in the body. A free radical has nothing to do with the 1960s. It is an unstable protein molecule that can do great damage to the body and cells. 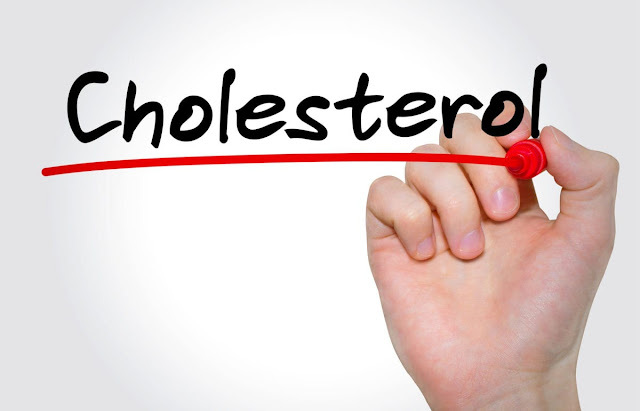 The damage done by LDL cholesterol attracts inflammation which obstructs blood vessels and allows excess cholesterol in the circulation to be deposited in the damaged vessel walls. It is when clots form on these blockages in the blood vessels that flow is restricted and heart attacks or strokes may result. That is the cause of cholesterol's negative reputation. This inflammation and blockage of the blood vessels is called arteriosclerosis. (By the way, calcium is also deposited in the vessels when inflamed and in this case is as dangerous as cholesterol.) And since it can have such dangerous consequences for human health it's worth understanding more clearly how it develops. The lining of blood vessels can be damaged by many factors, not just cholesterol. The inflammation caused by the free radicals actually tries to repair damage, but the swelling it causes allows cholesterol and calcium to deposit. There has to be damage for cholesterol to stick and cause and arteriosclerosis. So it's not so much LDL cholesterol, but the damage done by free radicals that are created by LDL cholesterol, that eventually lead to heart attacks and strokes. The blockages in the blood vessels cause protrusions, which lead to clots, which deprive the heart or brain of oxygen. Exercise is the best cure. It can actually reverse arteriosclerosis. Maintain a high intake of potassium. Bananas, orange juice, tomato paste and potatoes are among the foods high in potassium, or take a supplement. Eat a balanced diet, low on toxins, fats and meat. Also avoid high amounts of sugars, starches and prepared foods. Lower intake of saturated fat, but don’t cut it out entirely.